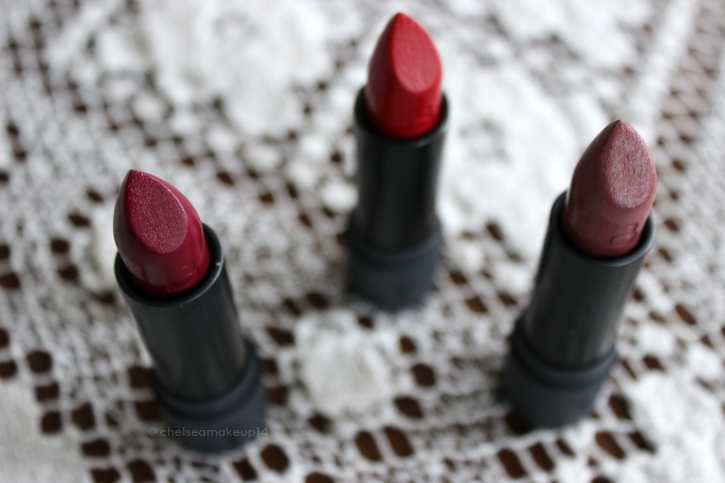 Bite Beauty Amuse Bouche Lipsticks: Review & Swatches! | Chelsea B. Bite Beauty Amuse Bouche Lipsticks: Review & Swatches! 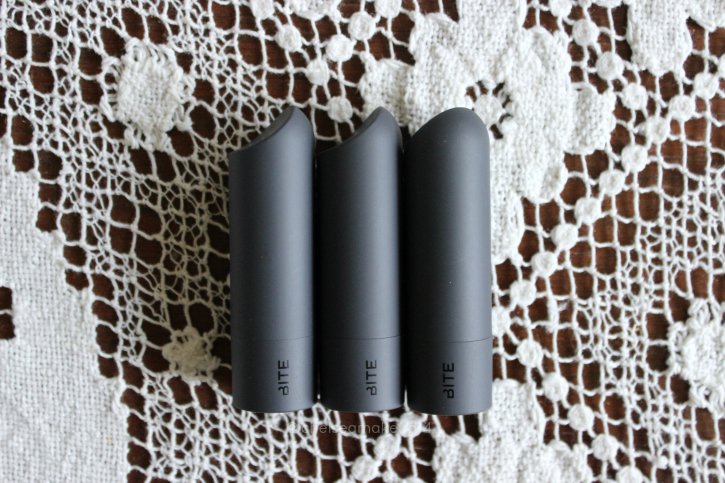 Today, I'm excited to share with you three of the Amuse Bouche lipsticks from Bite Beauty! The colors I have are Beetroot (bold berry), Pepper (dusty rose), and Gazpacho (true blue red). These lipsticks are very pigmented. They're hydrating and apply very smoothly to the lips. They're very creamy. And they wear very well, lasting all day on my lips. These lipsticks are made with 12 edible oils and have a citrus flavor made from fresh pressed fruit. When you're applying the lipstick, or even just holding the lipstick, you can really smell the citrus. It smells so good! 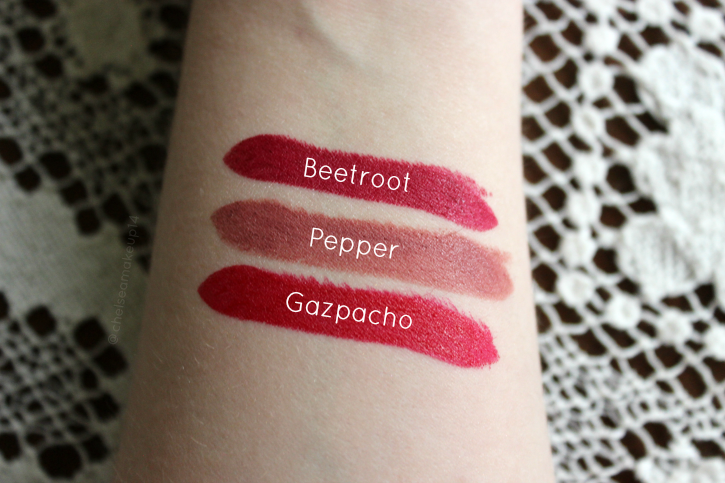 And now, here are swatches of the lipsticks! You guys can pick these up at Sephora for around $26. Have you tried the Bite Beauty Amuse Bouche lipsticks? Let me know your thoughts in the comments! 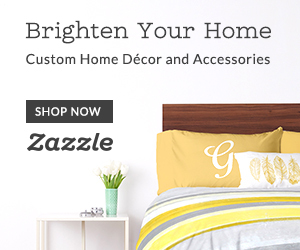 *I received these lipsticks for free from Influenster to review. All opinions are my own!